The Dubois, Daviess, and Martin County Soil and Water Districts have added a new invasive species specialist. Megan Ritterskamp is a Vanderburgh County resident and graduated from the University of Southern Indiana. Ritterskamp worked in healthcare for 15 years before returning to school to pursue a degree in Environmental Science. 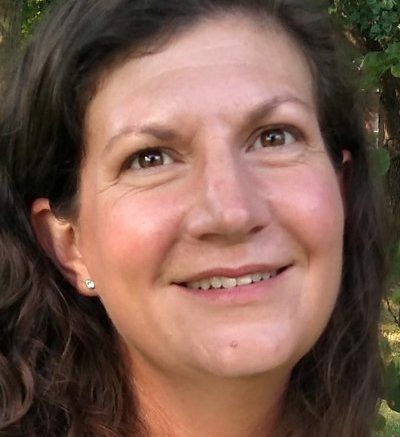 As the Invasive Species Specialist, Ritterskamp will work primarily through the Jasper office but will serve Dubois, Martin, and Daviess counties. Her position is funded for 36 months through a Clean Water Indiana grant, provided by the State Department of Agriculture. Ritterskamp will be working with area landowners and community organizations educating the public about the threat invasive species pose to the environment. Invasive plants that have been moving into Southern Indiana include Bush Honeysuckle, Autumn Olive, and Poison Hemlock to name a few. If you would like Ritterskamp to conduct an invasive plant site visit on your property, or if you have any questions about invasive species in the area, please contact her at 812-482-1171 ext:3 or by email at megan.ritterskamp@in.nacdnet.net. Be the first to comment on "DUBOIS, DAVIESS, AND MARTIN WELCOME INVASIVE SPECIES SPECIALIST"